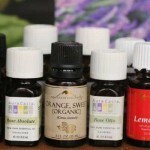 Are Aromatherapy and Seven-7 Chakras Interrelated? 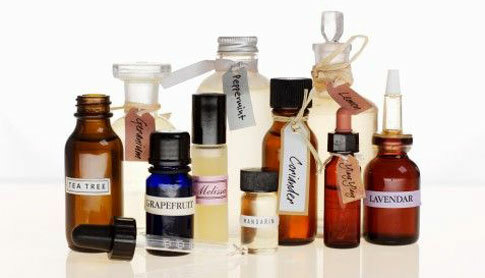 Aromatherapy is the practice of using volatile plant oils, including essential oils, for. Aromatherapy is a term coined to describe the practice of using essential oils taken from plants, flowers, roots, seeds, etc., in healing for psychological and physical well being. 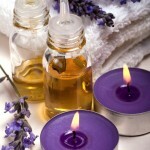 The main attraction in aromatherapy is the healing power of essential oils. Chakras are Entry Gates of the Aura. Within the physical body resides a body double, a spiritual body that contains the Chakras. They are centers of activity that receives, assimilates and expresses life force energy. They absorb and transmit energies to and from the universe, nature, and celestial entities, from people even from things. They are responsible for the person’s physical, mental, and spiritual functions. There are 7 major chakras or energy points located within our physical bodies. It is necessary to balance them in order to maintain health. The best way to relieve stresses, balance chakras and bring your body back into balance is through natural therapies such as Aromatherapy. Thus aromatherapy and chakras are interrelated. Here we are going to discuss aromatherapy essential oils and their use in balancing the 7 chakras. This is the first chakra that roots the subtle divine consciousness in the material life. This chakra is the basis for human existence in the physical world. This chakra also reflects a person’s connection with their mother, and with Mother Earth. Symptoms or tensions in the parts of the body controlled by this chakra indicate tensions in the parts of the person’s consciousness related to this chakra. Tension here is experienced as insecurity, fear, terror, or a threat to survival. Now we will see the use of aromatherapy in this chakra. Mentioned below are some essential oils and their uses. Black Pepper – It is used for proper blood circulation, aching muscles, low blood pressure and lethargy. It can cause irritation to sensitive skin so do not use undiluted in baths. Rosemary – Due to its analgesic and antidepressant properties it eases acid in the joints It is not recommended during pregnancy or by those with epilepsy. Cedarwood – It is antiseptic, good tonic and aids regeneration. Other essential oils like Vetiver, Angelica, Ginger, Frankincense and Lavender also help. Neroli – It is antidepressant and a good tonic. Ylang Ylang – It has antidepressant, aphrodisiac, calmingproperties. It aids confidence. Other than these oils like Jasmine, Patchouli, Tangerine, Bergamot, Vanilla, Sandalwood, Nutmeg, Oakmoss, Cedarwood and Rosewood also help. Choose the essential oil, which will help balance, the male/female energies and draw out the creative essence. Basil – It is good for nervous system, for pre-exams stress, intestinal antiseptic and digestion. It can cause irritation to sensitive skin and should be strictly avoided during pregnancy. Bergamot – It has antidepressant and calming properties and is good for stomach. Vetiver – It helps to assist in anchoring the awareness in your body. Other Essential oils like Carnation, Gold Chamomile, Fennel, Juniper, Lavender, Sandalwood, Ginger and Lemon are also useful. Choose the essential oils, which will help to strengthen and keep this center protected. Eucalyptus – It is an expectorant, anti-infectious and a good tonic. Rose – It has a calming effect, which helps in calming the nerves, headaches and shock. Cedarwood – It is antiseptic, good tonic and aids regeneration. Frankincense – It is antidepressant, antiseptic, calming and a tonic, which helps to handle emotional problems. Marjoram, Orange, Rose Otto, Yarrow, Lavender, Sandalwood and Bergamot are also useful in balancing this chakra. Choose the essential oil, which will help keep the heart area open and receptive to receiving and giving love. Chamomile – It is soothing, calming, anti-inflammatory and anti-infectious. Linden Blossom – It has calming and anti-spasmodic properties. Myrrh – Due to its astringent and anti-spasmodic properties it heals sores and wounds with external application. Choose the essential oil, which will help open communication skills and release stuffed unexpressed emotions that may be trapped. Other essential oils like Benzoin, Bergamot, Blue Chamomile, Frankincense, Hyssop, Lavender, and Lemon also help. Angelica Seed – It is a general tonic, which encourages inspiration and inner focus. It should be avoided during pregnancy. Lavender – It is calming, cleansing, antiseptic and anti-infectious restorative. Hyacinth -It is hypnotic, sedative and is used for aroma-psychology. It is very strong so only a small amount should be used in blends. Other essential oils, which are helpful, are Camphor, Eucalyptus, Jasmine, Lemon, Rosemary, Frankincense, Chamomile Blue, Sandalwood, Clary Sage, Cedarwood and Cypress. Choose the essential oil, which will help to open, activate and balance both the right and left hemispheres of the brain, stimulating intuitive thinking and releases rigid, judgmental thoughts. Frankincense – It helps to handle emotional problems, as it is calming, antidepressant, antiseptic and a tonic. Myrrh – It helps to heal sores and wounds with external application, as it is astringent and anti-spasmodic. Viola – It is soporific and analgesic. Other essential oils like Sandalwood, Lavender and Spikenard also help in balancing this chakra.